YouTube doesn't only host videos on its site, but many users upload the music of their favorite artists to this web. 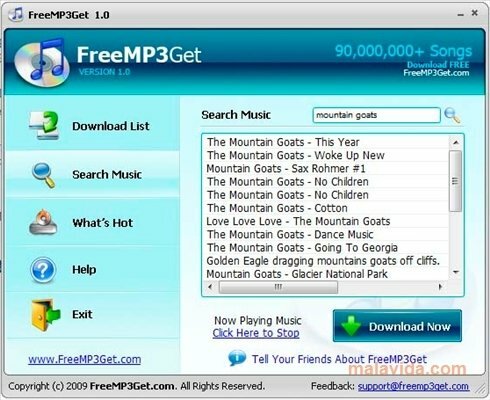 These tracks are stored in FLV format, like the videos, and as such it is impossible to transfer these tracks to your MP3 player, iPod or car CD player, due to the format they use. 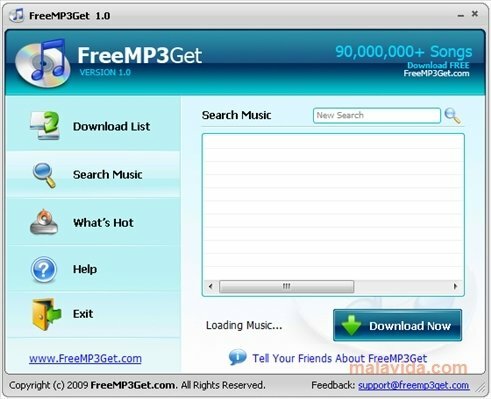 FreeMP3Get is an application that will allow us to search for tracks of our favorite groups and artists on YouTube and download them directly in MP3 format, thus making them a lot easier to play on any device. The process to be able to get any song that has been uploaded to YouTube is very simple, all we will have to do is carry out an artist, group or song search, preview the results by simply clicking on them, and once we have found what we are looking for, click the download button and indicate the location where we want to store it on our computer. 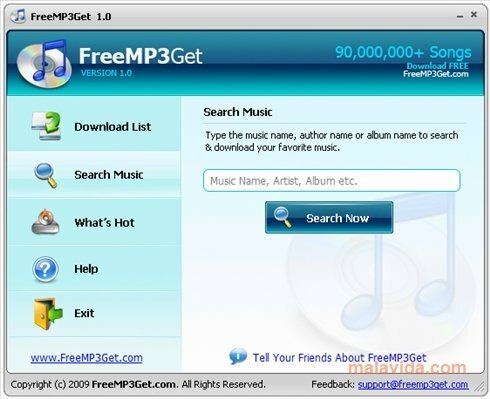 Make the most of the music uploaded to YouTube and increase your music collection's size thanks to FreeMP3Get.